Symptom: both near and distant objects appear blurred. Cause: the normally spherical shape of the cornea looks like a rugby ball in this case. 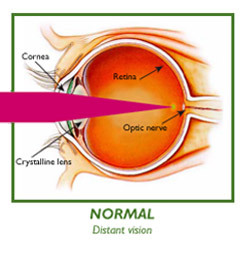 This creates a different refractive power of the eye depending on the lines of vision. 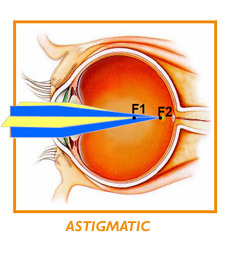 Treatment: astigmatism is corrected by wearing glasses fitted with toric lenses. 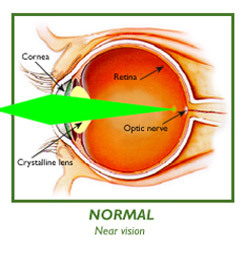 The same optical effect is obtained by reshaping the cornea with laser in order to make it completely homogeneous.